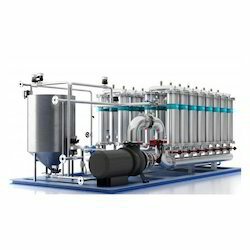 Offered range of Industrial Water Conditioning is manufactured by our expert professionals using premium quality raw material and cutting-edge technology. We provides superior technology air-conditioning with high performance, reliability rating and low power consumption. The product is made of quality material that adds to its longer life. They are designed to meet the international standards and are being checked on its various operational processes. Looking for Water Polishing ?